The Copper Rockfish or Sebastes caurinus is a widespread saltwater fish that is found off the Pacific Coast of North America. The species of Rockfish from the Sebastidae family can grow up to 22 inches (56cm) in length and weigh just over 10lbs. 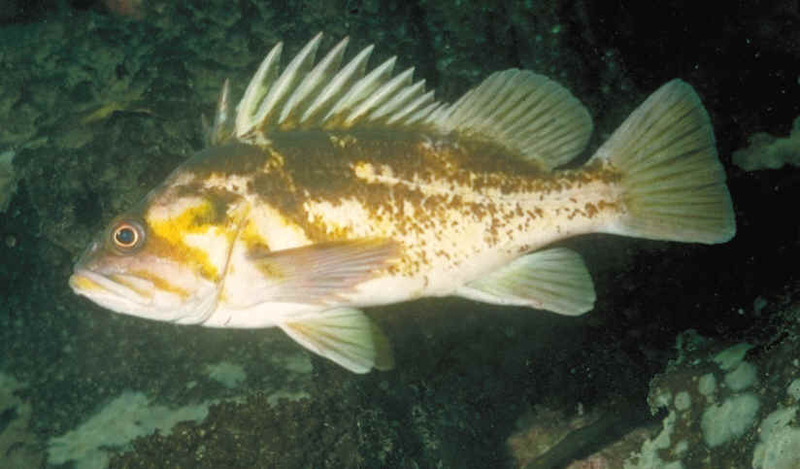 The female Copper Rockfish is normally a bit larger then the male. They are found in depths of up to 600', normally near the bottom in and around rocks. These fish can range in color from a dark reddish brown, with pale copper blotching along the sides, to a lighter pinkish brown with a yellowish white mottling on the flanks. Copper Rockfish will feed on crustaceans and small fish, while falling prey to sea birds and larger fish including Lingcod and Salmon. They reach sexual maturity in their fourth year and are viviparous giving live birth after the fish develops inside the mother for a period of 10 months. Considered to be quite tasty, this fish is often sought after and is said to put up a good fight for its relatively small size. 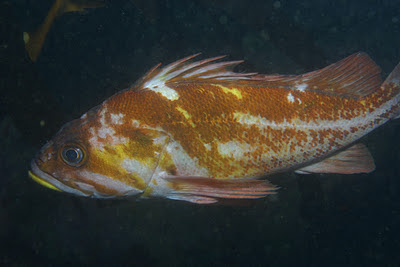 You can check out the Copper Rockfish swimming in the Pacific Ocean in the video below. If you have any additional information about the Cooper Rockfish please leave us a comment below.